Many new and expecting mothers are REALLY excited when they find out that breastfeeding can aid in post-pregnancy weight loss. “Breastfeeding burns 500 calories a day”, the literature says. “So & so celebrity lost all of their baby weight by breastfeeding”, shouts the tabloid! However, when hormones rage and sleep is lacking, it’s not always easy to make the best decisions when it comes to WHAT you’re eating. Your stomach starts to rumble, you grab a package of cookies and devour the entire thing! 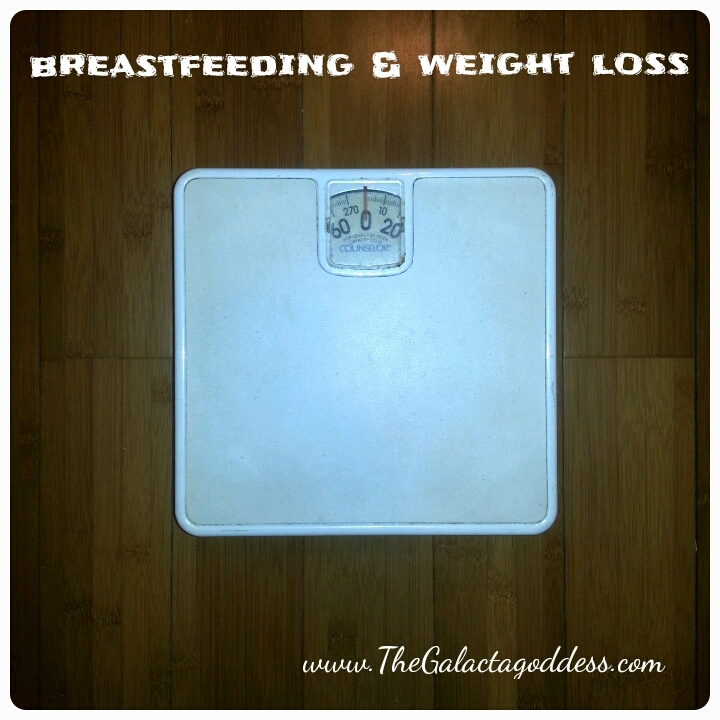 Before you know it, you’re GAINING weight! You start to cry (because you’re feeling fat & hormonal), you break out your maternity pants and grab another package of cookies because, let’s face it…you’re starving ALL OF THE TIME and, well, those pants ARE pretty stretchy! I know that is is REALLY, REALLY hard when you have a newborn, or an infant, or a toddler, or a teenager or all of the above BUT you MUST take care of yourself if you expect to be able to take care of anyone else. much like your doing for your baby…”feed on demand”! Follow your hunger cues; eat when your body tells you to eat! know what calories looks like; measure if you have to! fill up on super foods and focus on good fats – check out this post I wrote for New Leaf Wellness on How to Make the Perfect Smoothie for a quick, easy way to do both of those things! stress & sleep deprivation can cause you to gain weight…so take time for yourself, get some sleep and ASK FOR HELP! exercise! There are so many great Mommy & Me classes provided by community colleges, YMCAs, etc. Also, check out FIT4MOM the masterminds behind Stroller Strides and Body Back; two amazing programs that help Mamas focus on health & well being.